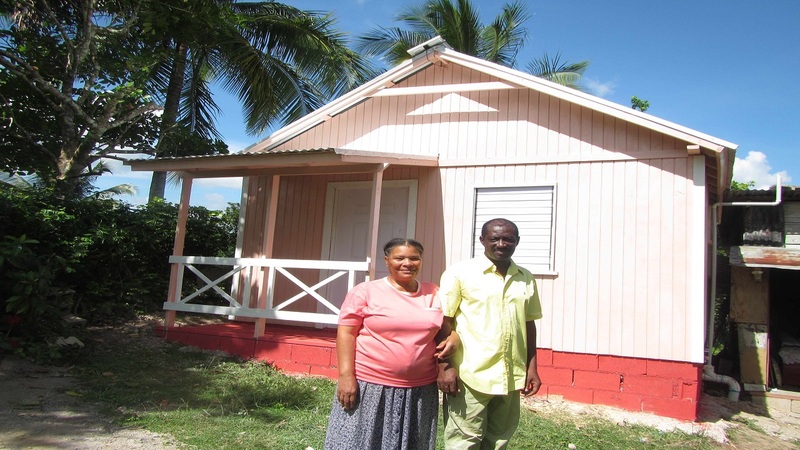 Food for the Poor Housing beneficiary, Calvin Walters stands with his wife Hazel in front of their new home in Pennants, Clarendon. 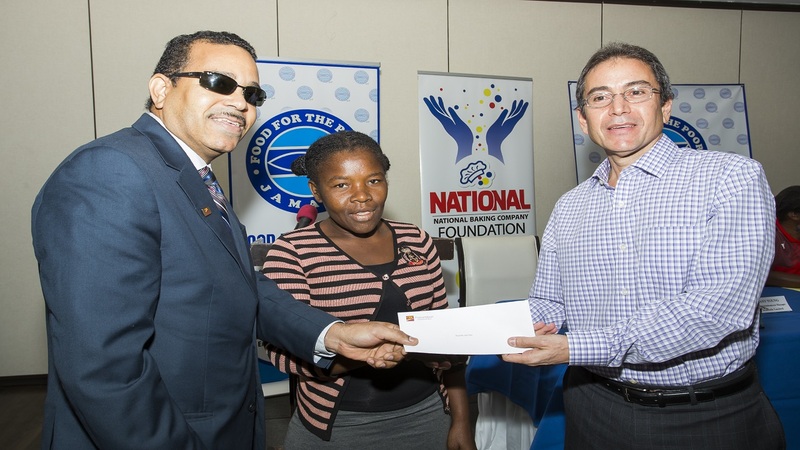 Seven families across the island now have a place to call home as result of a donation by Supreme Ventures Limited in May 2017 to the Food For the Poor (FFP) 5K Walk/Run event. 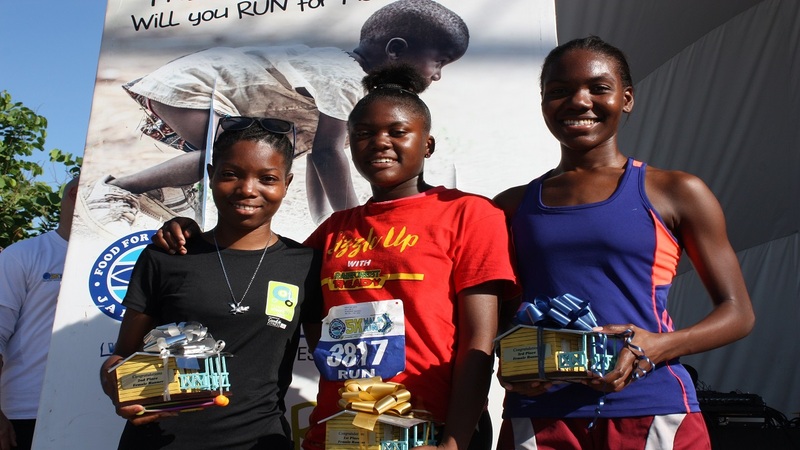 The annual 5K is the main local fundraising vehicle for FFP’s housing initiative. 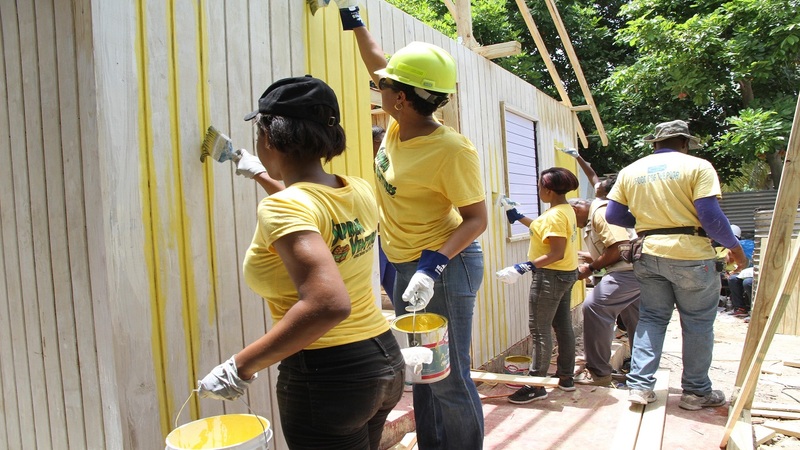 In addition to the first house, which SVL Team members helped to build for Beverly Foote, in Irish Pen, St Catherine in July of last year, homes were also built throughout the year for Calvin Walters in Pennant, Clarendon, Tameka Lawson in Trinityville, St. Thomas; Marcia Ormsby in Bartons, St. Catherine; Debbie-Ann Whyte in Spanish Town, St. Catherine; Cordella Edwards in Guys Hill, St. Mary and Conroy Stanley in Race Course, Clarendon. Foote, who was formerly incarcerated at the Fort Augusta Adult Correctional Centre, applied for the house while she was still behind bars. She said that even though she was serving time, she was still responsible for her eight children who lived in a dilapidated structure. Meanwhile, 60-year-old retired construction worker Calvin Walters said his FFP house came after a five year wait in a crumbling board structure. “I refused to apply for the house for a long while, but I realized I couldn’t do it on my own so I applied. It took five years and I almost gave up when I saw two persons in my neighbourhood apply after me and get through before me, but I exercised patience and God has been good,” he said. Walters, who has battled a nervous condition for 43 years, was not able to do much to help with the building of his new home, but was happy with the outcome nonetheless. “Having my own home means a lot. I feel so good now that anybody can come and sleep and laugh in my home. I feel so good I can’t tell you. I already said thanks but I want to say more thanks,” he said. Development & Marketing Manager at Food For The Poor Jamaica, Marsha Burrell, said Supreme Ventures’ coming onboard as a contributor was serendipitous. “When I saw that Supreme Ventures had come onboard as a sponsor, literally tears came to my eyes. It was just at the right time. 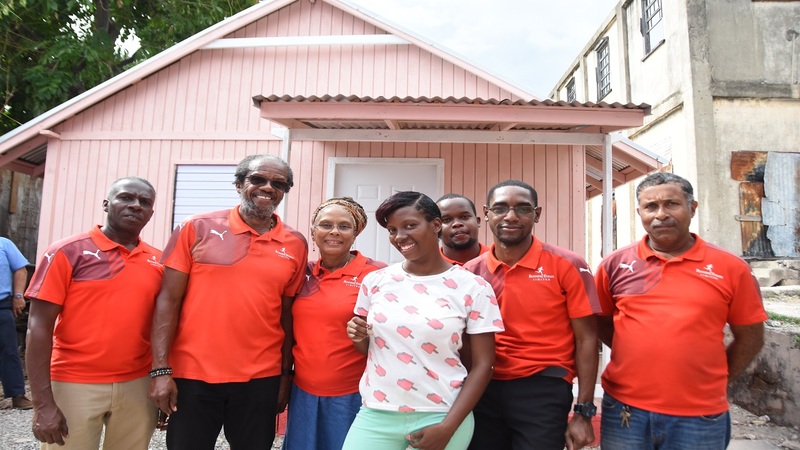 It takes so little to give a family a home and it’s so much easier for persons who want to contribute to work with an organization that is equipped like Food for the Poor,” Burrell said. “Our hearts were really filled with joy when we handed over the keys to Miss Bev (Foote). We were just so moved to see what it meant to her and her family. To know that six other families were blessed in the same way is a blessing to us as well,” said Assistant Vice President, Group Corporate Communications, Simone Clarke-Cooper. She added that the company realizes its role as a good corporate citizen, and would be continuing and strengthening its focus on its corporate social responsibility efforts in 2018.